What a beautiful setting for this reception. I am very sad to report that the memory card on my camera will not let me retrieve the pictures that were taken. We did a very different look with banana leaves under each chafer, wheatgrass and red apples. The guests enjoyed several passed appetizers and a full premium bar featuring the "Landry Tini" created by our bar staff especially for Carolyn and Kevin on their special day. Salmon Mousse on a clear slipper spoon, voodoo cheese dip served in a mini martini, ham and asparagus roll ups served on an aster dish, mini crawfish pies served on gold mirrors covered by banana leaves, a grazing table of fruit, cheeses, and crudite which converted to a candy bar for the second half of the evening. The bride loves chocolate strawberries....I had the kitchen staff create a strawberry "tree" which was presented to the bride and groom at their special table. She loved it! Hopefully, the photographer will have photos to share with me and I will be able to post them here. 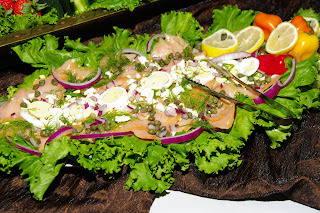 Always Expect the Unexpected With Best Catered Events!!! Best Catered Events provided a luncheon plate for each of the judges on Saturday, October 3, 2009. We have received very nice thank you notes and are very glad the lunch was so well received. Best Catered Events, always out in the community helping a worthwhile cause! Mr. Tim Bordelon retired from Exxon in Houston, Tx and he and his wife Darcy have returned to Bordelonville. 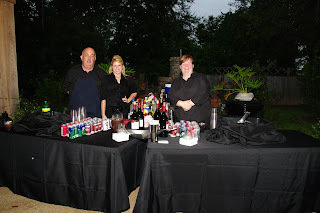 Best Catered Events provided food and premium bar services for the event which was held at the beautiful Le Manoir Fleuri in Moreauville, LA. There were family and friends in attendance from Mississippi, Texas and several other states. One guest told us that he had come just to eat something with crawfish! He was excited to learn that we had Louisiana crawfish etoufee on the menu and I saw him at the buffet table at least 3 times. 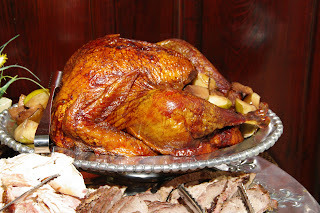 The whole smoked turkeys were one of the favorite foods for Mr. Bordelon. 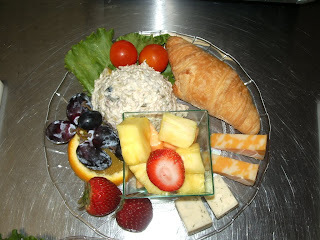 We certainly enjoyed catering this event and wish Mr. Tim and Mrs. Darcy a very long and fun retirement!